Mother Teresa once quipped, “Love begins by taking care of the closest ones; the ones at home.” Your parents were the ones who took care of you when you were just a vulnerable kid. They nurtured you to become what you are truly meant to be. Now that they are old, it calls for a reversal of roles. Your senior parents are more in need of your care, love, and support. Home care offers great comfort. They say that home is where the heart is. This is true under any given circumstances, including taking care of seniors. Your senior parents will feel more comfortable staying at home rather than being put away to health institutions or nursing homes. A home offers a familiar environment. No matter how homey other institutions are, there is definitely no substitute for being inside your own home. Home care ensures one-on-one care. Your aging parents have specific needs that are different from other elders. 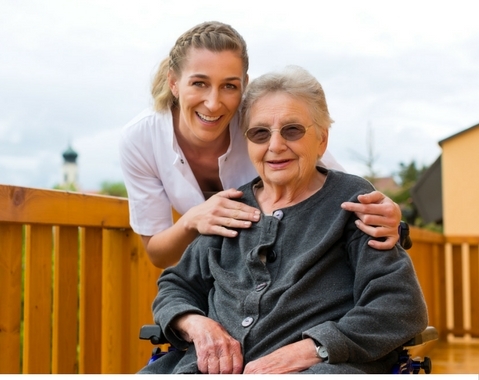 When you choose homecare services for them, you are assured that their needs will be fully met by their caregiver. Unlike in a nursing home, your senior parents do not need to wait for their turn to be accommodated. Home care promotes better and faster recovery. Stress will not help your seniors recover. In fact, it can just worsen their condition. Putting your aging parents in an alien environment can take a toll on them. A number of research studies support this claim. The proponents of these studies are in concurrence that patients recuperate faster when they are being taken care of at home. Home care costs significantly less. Nursing homes offer live-in facilities and other equipment used for taking care of their elder residents. The commodities and services they offer are pricey. What is more frustrating is that these equipment, facilities, and services are often not necessary for effective elderly care. These expenses can be spent on things that they can enjoy. Home care encourages participation from family and friends. Home care understands the role of family and friends in the life of elders. As such, we encourage them to give their ideas on how they want their elderly loved ones to be taken care of. Home care promotes a better quality of life. Even with old age, your parents want to have a sense of control over the way they live. They want to have their own set of rules. This is impossible in nursing homes. Nursing homes set their own rules that can restrict your senior parents’ freedom and independence, like going out to visit a friend. This is not true for home care. Total Assurance Home Health Care is a Non-Medical Home Healthcare Agency in Bethel, Connecticut. For inquiries, contact 1-877-372-3885.